I’ve been slacking off on this blog for a while now, but in an effort to start posting a little more regularly, I want to announce a new(ish) essay that just came out. 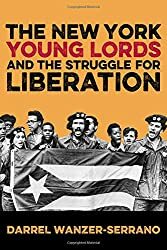 Called “Decolonizing Imaginaries: Rethinking ‘the People’ in the Young Lords’ Church Offensive,” this essay explores the ways in which the New York Young Lords craft a decolonial version of “the people” in their verbal, visual, and embodied discourse surrounding the Church Offensive (1969). In addition to the specific arguments about the Young Lords, this essay is the first in the journal (the Quarterly Journal of Speech) to make use of decolonial theory (a la Quijano, Mignolo, and Maldonado-Torres) and hopefully serves as a good introduction of the ideas to this new audience in rhetoric within communication studies. The title of the article (above) is a hyperlink, but if your institution doesn’t subscribe or you’re not at an institution in the first place, I’d be happy to pass on a PDF. Just shoot me an email. Now let’s see if I can’t start using this and Twitter a little more regularly….